Serdar Tasci Qualification for the Champions League could be pivotal if Newcastle United intend to make a move for highly talented Serdar Tasci of VfB Stuttgart. The central defender is also attracting interest from Spurs who could hijack the 25 year old if they were to reach the top 4 at United’s expense. The situation exposes just how important qualifying for the Champions League could be if we are to sign Europe’s elites. 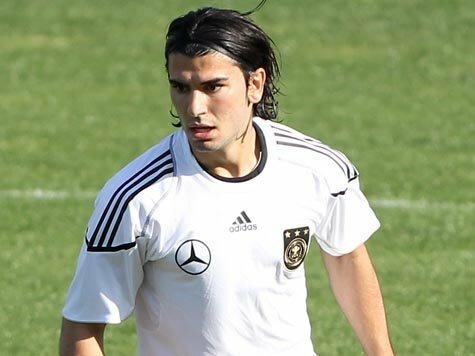 Tasci signed for the Stuttgart youth academy in July 1999 and has worked his way up ever since. He has been an integral part of his side’s push for a Europa League place, contributing with 28 appearances and 3 goals in the Bundesliga. But Tasci isn’t one of those players who has shot to fame because of one good season. The defender has featured in over half of Stuttgart’s Bundesliga games in every season since 2006, proving that he has the consistency and motivation needed to perform at the highest levels. Serdar has also represented the German national side on 14 occasions since his debut against Belgium in August 2008, making his World Cup debut as a 91st minute substitute against Uruguay. As mentioned in previous articles, I feel players with international experience are more suited to the big occasions which Newcastle will be involved in once in Europe. Standing at 1.86m, Tasci has the build required to adapt to the Premier League. Newcastle are in desperate need of reinforcements in defence, with Stephen Taylor being particularly injury prone and the back four lacking many replacements. Seeing as Tasci’s agent has been visiting clubs in England, it looks as though the central defender could be tempted by a move to the North East. However, as mentioned before, we face stiff competition with Spurs who they themselves have had problems with their centre backs. With a lack of progress occurring at VfB Stuttgart, it seems as though Tasci is keen to leave, meaning that United could get him at a knock down price.